...it would have to be these guys. 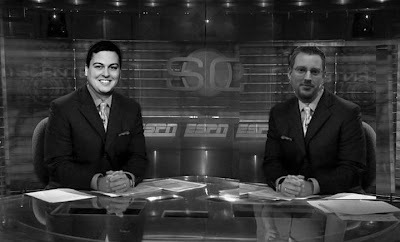 For those of you not familiar with them, its Justin Taylor (left) and Tim Challies (right). 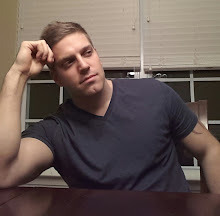 Justin has his blog Between Two Worlds where he basically links-up the top stories going on with respect to Christian blogging, theology, culture, and everything else that fits the bill. I also refer to Justin's blog the CNN of Christian blogging. He's always got good informative stuff that makes you think, which is why I visit there numerous times a day to see the latest post! At Tim's blog, Challies dot com, there is a slightly different agenda. Tim made it to the big leagues by writing articles that deal with Reformed theology, book reviews, personal reflections and other various topics. You will find a little more personal substance on the items under review. Taylor for the most offers his two cents, Tim usually offers ten cents. Tim's also has a few unique items. One is called the a la carte where be does something similar to Justin's site; offer a few little comments on some interesting links. He also has something called "king for a week." In his own words, "This section allows me to highlight the contributions of other bloggers and to pay tribute to people who have blessed (or even just amused) me through their efforts." For what its worth I figured since I've been in the blogosphere for close to 4 months now, I'd have a little fun and also let our readers know who the bigger players are. That's funny, There ain't many pics of you on the net my friend! I was lucky to find this one!